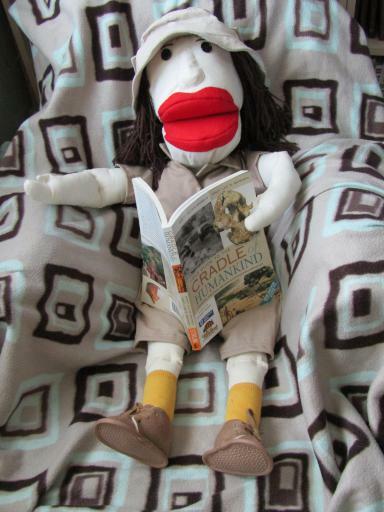 Cuddly Science has a new puppet Mary Leakey – an paleoanthropologist who along with various other members of her family and team found alot of the early homonid fossils and moved our understanding of our own evolution on in leaps and bounds. Mary Leakey was one of my science heroes when I was a teen – during my GCSEs and A’levels I read all the books the library had or could get on her discoveries. 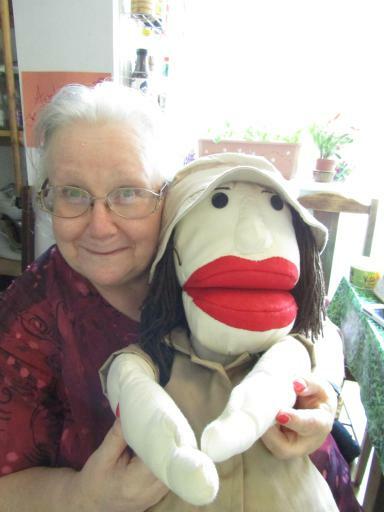 And she was in the original list of ten puppets to make for Cuddly Science. My Mum and Dad worked on her mainly in secret for me, knowing I was uber busy with things. 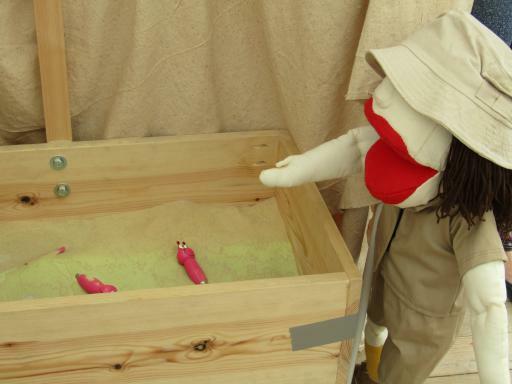 She also doubles as a general geologist, archeologist and explorer! Which is just what I needed with various archeology festivals and geology based workshops coming up this summer! 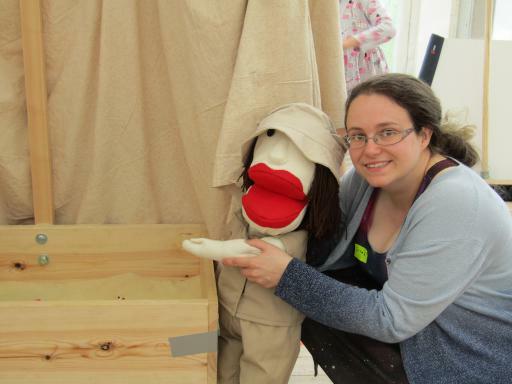 The puppet was in fact barely finished before it was being whizzed off to the Cheltenham Science Festival to help explain the Cheltenham Hackspace’s magic sand box! 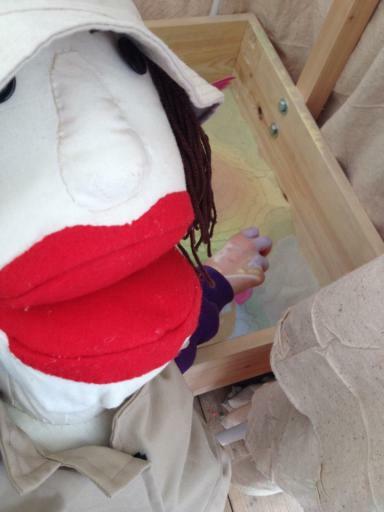 We had over 10, 000 kids through the Makers Shack at the festival which was amazing and also exhausting! Mary Leakey and Ada Lovelace both enjoyed their outings and I have a hell of a lot more photos and vids to put up from the festival including trying to launch a robot into near Earth orbit! 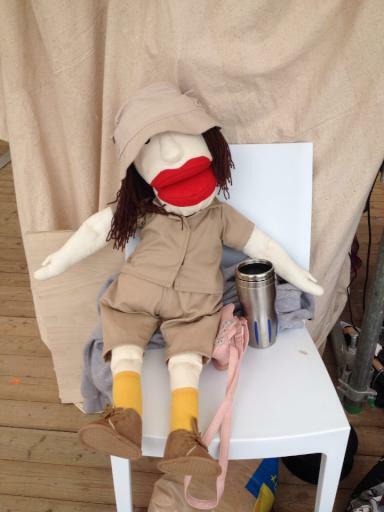 But for now I shall end with this pic of Mary Leakey chilling and relaxing behind the scenes.